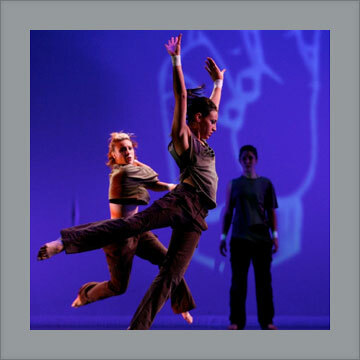 Founded in 2013, MULTIPLEX DANCE is the brainchild of Choreographer, Assistant Professor of Dance at UC Irvine, and former member of Diavolo Dance Theater, Chad Michael Hall. Based in Los Angeles, CA, Hall has been choreographing original dance works since 2006. His highly-athletic and acrobatic movement style and edgy, cyberpunk aesthetic have made him a sought-after choreographer and teacher among dance companies, festivals, schools and universities around the country. His obsessions with computer technology, electronic music, and science-fiction drive him to create dances that integrate live dancing with digital media. In 2012, he created INTERFACE, an evening-length work examining the increasingly visceral/virtual hybrid reality within which we are living and evolving. Having set a course on this new trajectory of Interactive Digital Dance Theater (IDDT), Hall is now joined by seven dancers committed to creating original dance works that integrate social media and mobile technology in Hall's unique brand of Techno-Industrial Modern Dance.